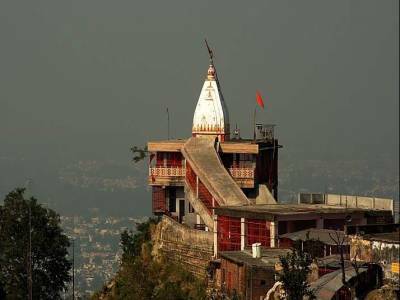 Being located at the top of Neel Parvat on the eastern part of Himalay’s Sivalik Hills, Chandi Devi Temple of Haridwar is one of the Shakti Peethas of northern India. 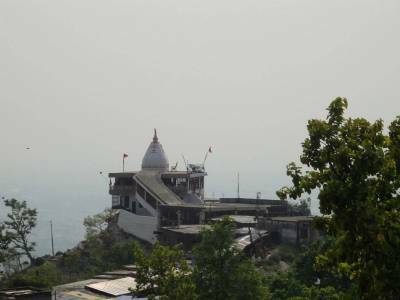 Being just 3 km far from Chandighat, this temple is divinely dedicated to Chandi Devi. Having a great religious value, this heavenly place is considered to be the resting place of Goddess Chandi. According to popular belief, after Chandi Devi killed Shumbh and Nishumbha, the demons, she rested for a while on Neel Parvat. Chandi Devi Temple was built by the ruling king of Kashmir, Suchat Singh, in 1929. However, it is to be believed that the idol of Chandi Devi was set up in 8th century, by one of the greatest Hindu priests - Adi Shankaracharya. 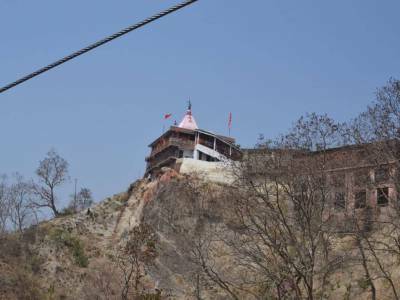 The Chandi Devi Temple is known as Neel Parvat Teerth, and it is one the five most divine holies of Haridwar and one of the three top attractions in Haridwar. One can trek up to the hill in order to reach the temple. The trekking path is wonderful and being an explorer one must experience it. This way will take 45 minutes. The other way to avail is the rope way. One can reach the temple by rope way in just 10 minutes. 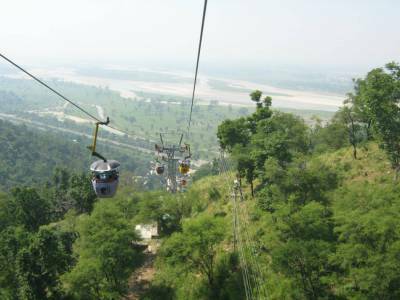 If You want to avail a Ropeway Service, then the best way to buy a combo ticket for 660 INR at Mansa Devi temple on the other side which allows access to both temples via ropeways as well as transportation to and from. During festival days and weekend, the Chandi Devi temple was highly crowded. There are many attractions near the Chandi Devi temple includes the Gauri Shankar Temple, the Kali temple, the Neeleswar temple and the Daksha Temple. 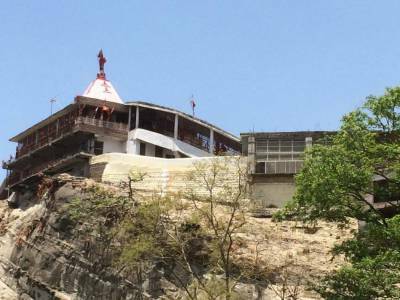 The Chandi Devi Temple Just 2 KM away from Mansa Devi temple and about 4 KM from Haridwar railway station. Get quick answers from travelers who visit to Chandi Devi Temple.